-----Chocolate Shamrock Shake: Vanilla soft serve and chocolate flavored syrup under the original mint flavored Shamrock Shake. Top it off with green sprinkles, whipped topping, and a cherry and it’s a match made in Shamrock heaven. -----Shamrock Chocolate Chip Frappé: Made with an indulgent blend of chocolate chips and a hint of coffee, topped with green sprinkles, whipped topping, and tantalizing chocolaty drizzle. -----Shamrock Mocha: Our classic Hot Mocha just got minty. Made with sustainably sourced espresso beans from Rainforest Alliance Certified farms, steamed whole or nonfat milk, mint and mocha flavored syrup, and topped with whipped topping and delicious chocolaty drizzle. -----Shamrock Hot Chocolate: Our delicious Hot Chocolate now with cool mint flavor. Made with steamed whole or nonfat milk, mint and mocha flavored syrup, and topped with whipped topping and chocolaty drizzle. -----The new Shamrock Chocolate line-up is available in restaurants nationwide starting Tuesday, February 7 through Monday, March 20, 2017. -----Beginning in 1974, proceeds from the Shamrock Shake helped raise enough funds to open the first-ever Ronald McDonald House in Philadelphia. -----Now, 42 years later, proceeds from the Shamrock Shake are still supporting RMHC, which serves 7 million children and families around the world each year. -----McDonald’s will donate $.25 to RMHC for every McCafé Shamrock Chocolate Madness Drink sold during March 11-17, 2017. 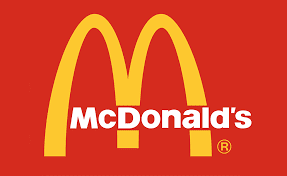 -----McDonald’s is always raising the bar to better serve customers. The unique nature of the dual-flavored Chocolate Shamrock Shake offered an opportunity to take that innovation one step further and create the perfect shake- drinking experience. -----The STRAW, which stands for Suction Tube for Reverse Axial Withdrawal, changes the way people experience the Chocolate Shamrock Shake. It has been designed by some of the nation’s top aerospace and robotic engineers so that you can sip just the right amount of chocolate and mint flavors at the same time. It’s an impressive amount of science squeezed into a simple straw. -----Due to the complex design of the STRAW McDonald’s was only able to produce an exclusive, limited quantity of 2,000 at this time. 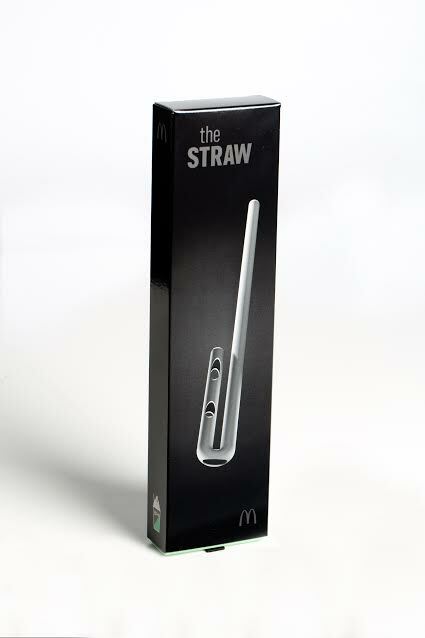 -----Fans can visit www.mcdonalds.com to find out more on where and when to get the STRAW online or at a local McDonald’s restaurant. -----Here in the Connecticut & Western Massachusetts, six STRAWs will be given away on the local McDonald’s Instagram page, @McD_CTWMA To enter, users must reply to the post asking which flavor is better: mint or chocolate. On Friday, February 24, six responders will be randomly selected to win the exclusive STRAWs. 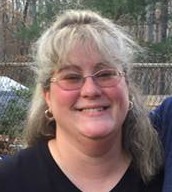 Full rules can be found at http://ow.ly/d/5LRl. This is my favorite time of year to visit McDonald's. I just can't get enough of those yummy Shamrock shakes!! 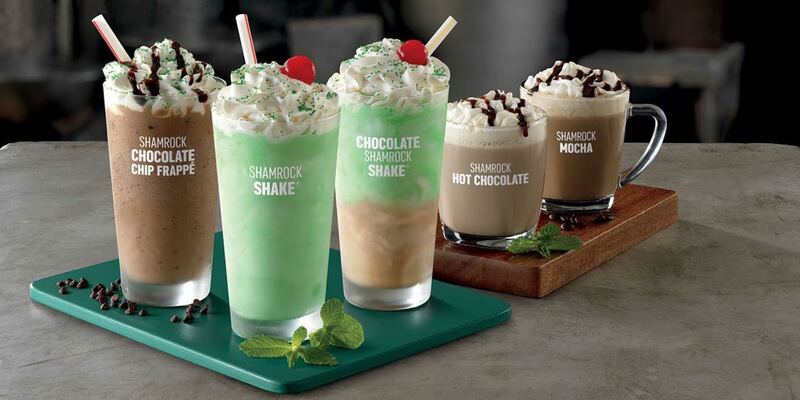 This year, McDonald's is switching it up by adding a Chocolate Shamrock shake, a Shamrock Chocolate Chip Frappe, Shamrock Hot Cocoa and a Shamrock Mocha!! I am going to be in Shamrock heaven!! 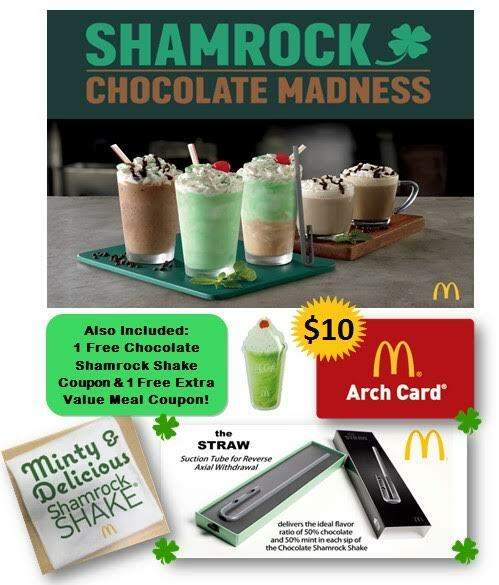 The good folks at McDonald's would like to offer one lucky reader a really cool prize pack so you can enjoy the new shamrock drinks in style!! The Shamrock Chocolate Chip Frappe sounds good to me. I think I would go for the Shamrock shake itself as I have never had one. I want to try the Shamrock Shake. I am most excited about trying the Shamrock Chocolate Chip Frappe. I would love to try the Shamrock Chocolate shake. I love when McDonald's has the Shamrock shakes. I'd love to try the Chocolate Shamrock Shake and the Shamrock Mocha. I'd like to try the Chocolate Shamrock Shake, because chocolate! I am the most excited to try the chocolate Shamrock shake. I like the classic shamrock shake! I would most like to try the Shamrock Mocha. I'm excited to try the Shamrock Chocolate Chip Frappe! Oh I am really excited to try the Chocolate Shamrock Shake! I want to try the shamrock mocha shake. I van not wait to try the Chocolate Shamrock Shake. My two favorites--vanilla and chocolate in one. My daughter wants the regular Shamrock Shake but then again, she's allergic to chocolate. I want to try the Shamrock Chocolate Chip Frappé! I want to try the chocolate shamrock shake! I am really excited to try the Chocolate Shamrock shake. I love chocolate mint and I thought of asking them to mix shamrock and chocolate in the past, now they finally are! I would love to try the chocolate shamrock shake! I want to try the Shamrock Chocolate Chip Frappé, can't wait! I can't wait to try the shamrock chocolate shake!